We invite you to Stay for Good at Soneva Fushi and support our efforts to preserve the environment and enrich the community in the Maldives. Here’s your chance to be part of something meaningful as you work alongside our marine biologists, horticulturalists, mycologists, and community engagement managers to support local sustainability initiatives. Stay five nights with us at Soneva Fushi, and if you agree to participate in the following initiatives, your next five nights will be on us. Land: Assist our horticulturists, mycologists, and gardeners in maintaining the vegetable gardens and learn how to grow your own vegetables. Deliver the vegetables to our restaurants and learn how to create a seed bank to ensure future sustainability of important crops. Help us to make sustainable bricks in our Eco Centro Waste to Wealth facility. Water: Snorkel with our marine biologists to help with turtle and shark identification, and coral restoration. Spend time each morning clearing debris from the island that may have washed up, and help us to register the fish caught by the local fisherman. Participate in reef clean ups in the Baa Atoll to reduce marine debris and prevent injuries to marine life. Also, help to send photos of Mantas taken by guests to the Marine Megafauna Foundation to help with their work of Manta identification and protection. To book the Stay for Good offer, contact [email protected] or call at +91 124 4511000 and quote ECOPKG18. • Additional taxes and service charges for the additional five nights’ accommodation will not be levied. • The bonus nights cannot be exchanged for cash or other equivalents, be transferred, or be taken during a different period. • The activities are mandatory and if not completed additional room charges will apply. • The offer cannot be combined with any other promotion. 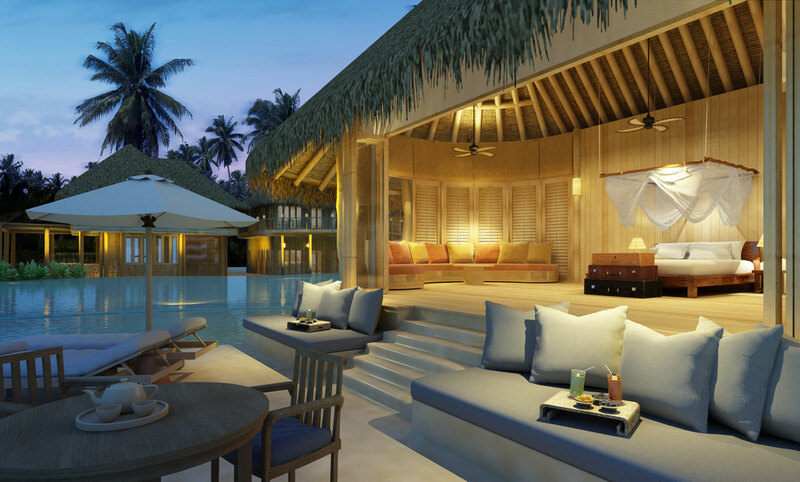 • The standard Soneva cancellation policy will be applicable. * The exact programme offered to guests may deviate from the above-listed activities and will be based on the season, and requirements at the time of the visit.